Selling or Buying a Lotus? The Lotus adventure started in 1959 when Colin Chapman built the first car using unit fiberglass construction: the Lotus Elite. The idea was to reduce weight, which would be one of the brand’s key characteristics for all the following models. Another characteristic of Lotus vehicles was their great handling abilities, which would be praised in each model, from the popular Lotus Elan to the sporty mid-engine Esprit. You probably noticed that all of Lotus model names start with the letter E and the tradition is still going. Lotus always produced their models in small numbers, using a very rigorous construction plan for each unit. The manufacturer has been a leader in innovation within the auto industry, regularly providing consulting to other carmakers for fiberglass construction and engine design. Looking to purchase a classic Lotus? If like the team of The Beverly Hills Car Club, you have a passion for classic Lotus, you most likely know a lot about the different models and the brand’s history. 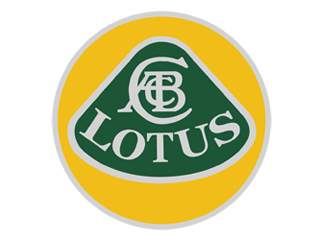 Don’t hesitate to get on the phone with a classic Lotus enthusiast and expert from The Beverly Hills Car Club team, and share your stories and experiences. If you’re looking for a particular example of classic Lotus, the friendly staff would be delighted to assist you. Not only does their Los Angeles classic car dealership carries a rich inventory of classics for sale, including models of classic Lotus of all models and conditions, but also the team is known for sharing valuable tips and advice on buying a classic car. Most owners of classic Lotus agree to say that Lotus sports cars are easy to maintain, efficient, and simple, with no frills. If you can find a model in good condition, chances are you’ll have a wonderful ownership experience. The Beverly Hills Car Club is at your disposal to help with the research of your dream classic Lotus, whether it’s a mint-condition, rare example or an affordable model that needs renovation. The team is only one phone call away so get in touch soon to start your project! We Also Buy Classic Lotuses In Any Condition, Top Dollar Paid.